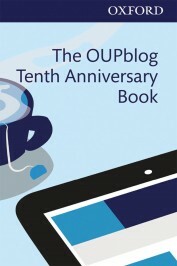 The OUPblog Tenth Anniversary Book: Ten Years of Academic Insights for the Thinking World celebrates the incisive works that made the OUPblog what it is today: an unrivaled source for sophisticated learning, understanding, and reflection. Yesterday we shared 34 selections of the OUPblog’s best work as judged by sharp editorial eyes and author favorites. However, only one of those selections coincides with the most popular posts according to pageviews. Does Google Analytics know something that our editors do not? Do these articles simply “pop” (and promptly deflate)? Or are there certain questions to which people always demand an answer? Three trends emerge: (1) People are extremely passionate about words. (2) Many people need some quick facts about certain historical figures. (3) People frequently ask the same basic scientific questions. Featured image: Computer. By Jeff Sheldon. CC0 via Unsplash. Alice Northover is OUPblog Editor and Social Media Marketing Manager at Oxford University Press. She is the editor of The OUPblog Tenth Anniversary Book: Ten Years of Academic Insights for the Thinking World.